Last year I sent out a tweet: ‘We can’t see what we can’t see until we can’. As ever, I was commenting on something that suddenly had become blindingly obvious to me. I was reflecting on how I had come to ‘know’ something and realised that it had ‘come upon me’ over time. My knowing had to be present and playing within me before I could see it – before I could become an observer of ‘it revealing itself through me’. In other words, my knowing had become embodied (in me) long before I could consciously articulate it – long before I had the language to express it in a way that I could begin to pass on to others. Is this the Way of learning? Walter Freeman (2007) says “the Self can only know and incorporate what the brain has created within itself.” I think he is alluding to the theory of autopoiesis proposed by Maturana and Varela (M&V). In essence, Freeman is suggesting that we learn only when and if we create that learning within ourselves. Nothing you do or say can ‘make’ me learn on demand. You might offer up something in a particular way that acts as a trigger but neither it (the trigger) nor you can drive or determine if I will learn – and if I do, what I might learn, how or when. The corollary of course is also true….. I cannot guarantee you will learn either! Think about the learning process of a baby, a toddler, a youngster getting to grips with the physical, social and emotional world around and within them. They don’t have well-formed complex linguistic faculties to draw upon. Their monumental scale of learning comes, not through a conscious prescribed (linear) process of being told something and then following instructions, but through a complex interaction of visual, auditory, physiological and kinaesthetic cues and a whole bundle of practical experimentation. The baby learns to walk, the toddler to talk – and parents delight in the magic moments when those first steps and first words come forth. No one can predict when those events will actually occur. Each child’s learning is emergent and the best we can do, is try to influence it. As parents giving the best of ourselves, we may offer love, attention, repetition, illumination, curiosity, time and space for exploration and experimentation, encouragement and celebration; we express wonder, delight and compassion. We try to limit the worst of ourselves and hope we happen to be around when our child’s sudden transformational shift of capability occurs. We can find explanation in diverse complexity sciences that offer us powerful lenses to better see and understand what is going on; and language through which to express and share what transpires. Yet this complex, emergent reality does not sit well or easily with conventional beliefs and practices around teaching and skills development – and it certainly does not fit with policy-makers and decision-takers in governments, educational institutions and organisations who demand defined performance results and expected returns on investment. They would have us believe that learning outcomes can be invoked on demand. They can’t. Our challenge as change agents in this hostile context, is to become artists at influencing the conditions in which systemic learning might emerge. It occurs to me that as adults, with our greater linguistic capability to fall back on, we may be in danger of limiting our capacity for learning by giving priority to the spoken and written word. Our reliance on words is not surprising. Language affords us the opportunity to evoke emotion and pass on meaning across time and place. We can write and then have our words conveyed across the world without our ever having to be present to deliver them. With present-day technologies, our reach can be unimaginably vast. And yet, without us to deliver our own words and enter into a generative conversation with others, there is always the risk that our intended meaning can be lost, confused, misunderstood, misrepresented. It is unsurprising that in this online landscape more people are taking advantage of audio visual media to convey their messages – so you can ‘hear and see’ rather than simply read. The potency of the person and the personal is powerfully demonstrated through the best of TED talks and YouTube videos… some of which you can read about from Fiona elsewhere in this newsletter. Perhaps our next offering later in the year might come in the form of a video! So as I bring this piece to a close – I am reminded how vital it is to learn from how our children learn. If their capacity for learning is anything to go by, then amplifying our use of multi-sensory exchanges might prove more efficacious than the frequently emotionally-arid, word-dominated, aesthetically-sparse realms of adult teaching? Louie Gardiner is a regular contributor to the3rdimagazine. People matter first – all else follows. This is the foundation on which Louie has grown her personal and professional life. 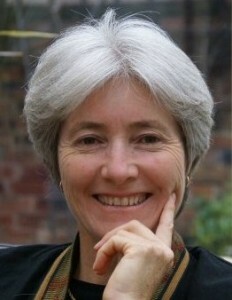 She is a global executive coach, facilitator, writer and Human Systems Dynamics consultant with a proven track record spanning 30 years: transforming organisational and community cultures, inspiring leaders, enhancing emotional mastery, liberating potential, turning around poor performance and improving the lives of people within and outwith organisations. Our next training cycle in March is upon us. If you want a multi-sensory learning experience to deepen and extend your agility, fluency and artistry as a coach, facilitator, supervisor or therapist then do join us on our 1-day workshop: ‘Embracing Complexity’. Be ready to work with others and to stretch and play across the realms of what is known and unknowable; simple and complex; predictable and surprising!